While cultivation with a reduced amount of agricultural chemicals has become popular among consumers with the rise of safety conscious people, producers worry about an increase of damaged grain by insects and disease. 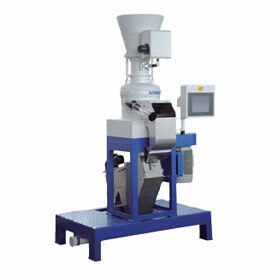 Optical Sorters remove damaged grain as well as glass and stone contaminants efficiently. They contribute both to the consumer safety and peace of mind, and to producer's profitability. Two types of sensors scan every rice kernel sliding down the chute. 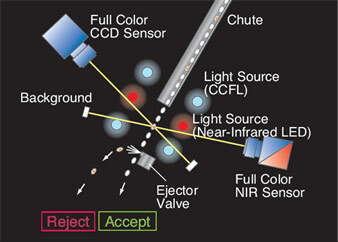 The full color CCD sensor identifies damaged grain and impurities by color, and the NIR (Near-Infrared) sensor identifies damaged grain and inorganic contaminants, such as glass and stone. Ejector nozzles accurately blow those damaged grain and impurities out of the flow stream with compressed air. 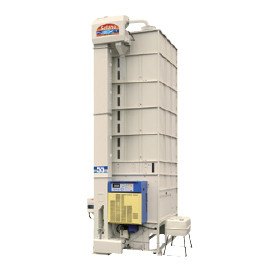 Satake has supplied a full range of post-harvest equipment, from paddy drying to paddy husking and grading, since the invention of Japan's first grain tempering dryer. Satake constructed Japan's first "country elevator" in 1964. 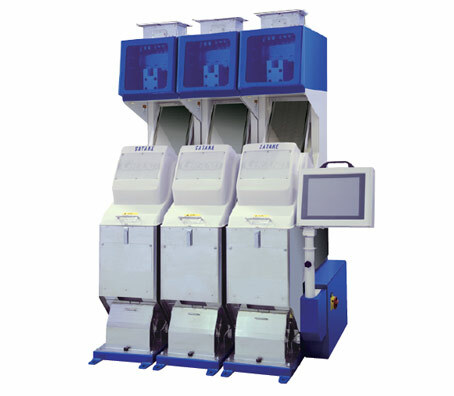 Since then, Satake has supplied and serviced these facilities with its leading technologies. These facilities consist of storage, cleaning, drying, and husking units. 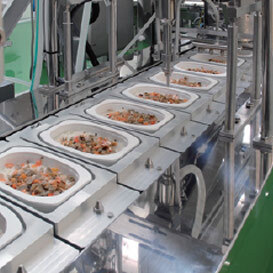 Satake develops and supplies complete rice milling plants, rice cooking plants, and the full range of machinery for those plants. 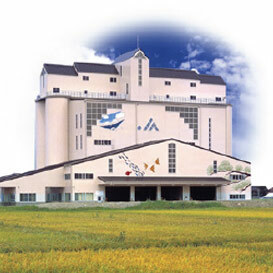 The rice milling machine for sake breweries can be considered to be the base of Satake's company foundation. 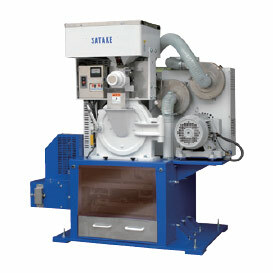 Satake supplies various types of rice milling machines in response to the demands of the time. While dietary lifestyle has become popular, people are more concerned about health issues like lifestyle diseases. 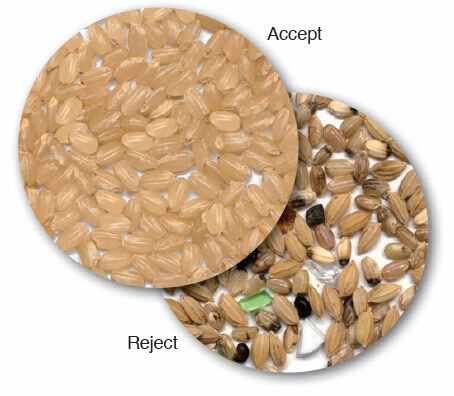 Satake is developing new systems focusing on nutritional components that rice naturally produces. 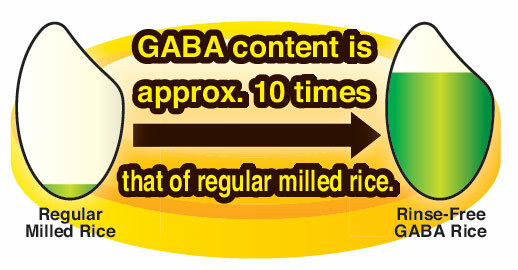 For instance, "GABA" rice is rice that people can enjoy every day to maintain their health because it has the same appearance and texture as regular milled rice, while it contains plentiful amounts of GABA. 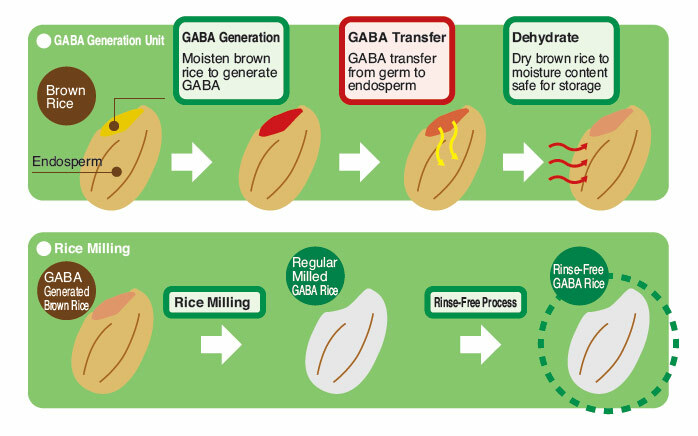 he s ystem g enerates G ABA from glutamic acid in the germ, allows GABA transfer to the endosperm, mills it into white rice and then polishes it to rinse-free rice. Satake was the first to introduce round-bottom kettles in the industry. 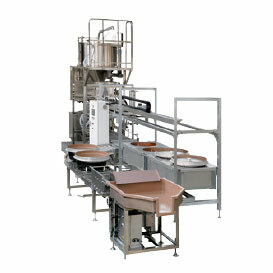 Cooking characteristics can be adjusted kettle by kettle, individually and in bulk. 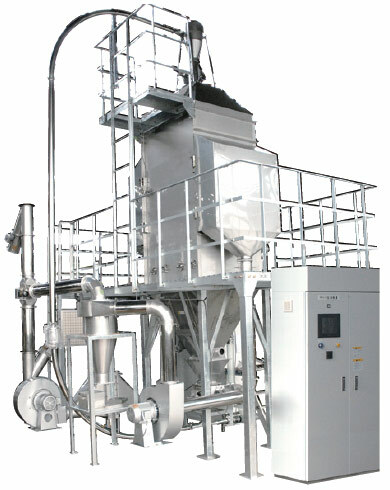 It produces packed rice using Satake's original pressurized microwave. 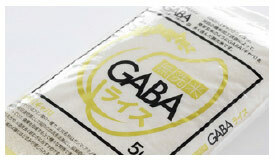 Shape and elasticity of rice after cooking and packing are preserved. 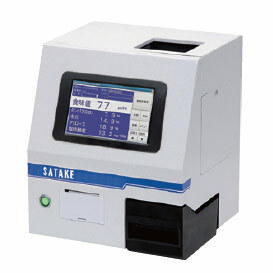 Satake invented the equipment which analyzes the quality of rice in terms of taste, fragrance, hardness, and stickiness; the first in the world. 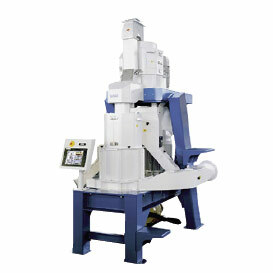 Satake developed a rice flour milling machine that can mill rice into fine flour suitable for baking.